– Doesn’t require much maintenance and it’s easy to clean if it does get dirty. 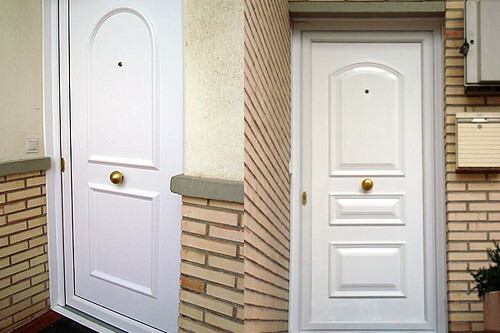 – There’s a lot of variety when it comes to UPVC doors. You can have the traditional white or go for a brighter colour or even a wood effect. – The security level is up to you; there is a lot of choice when it comes to the handles and locks that you may require. – Weather resilient and long lasting as they aren’t affected by rot, rust or decay. – Insulators: UPVC doors are great for reducing household bills as they reduce heat loss. – They can have a weather proof strip put onto them to avoid drafts. – They don’t require much maintenance but if they need repairing it is not cheap. – As a natural insulator, wood is brilliant, but you have to be aware that wood will rot if you don’t use the correct treatment on it. – Maintenance: Wooden doors will need to be treated and redecorated every five years or so. In the long term this is not that often but compared to a UPVC door it is. The good thing about having to retreat and decorate your door is that it is made to look brand new again and you can have a different colour every time if you like. 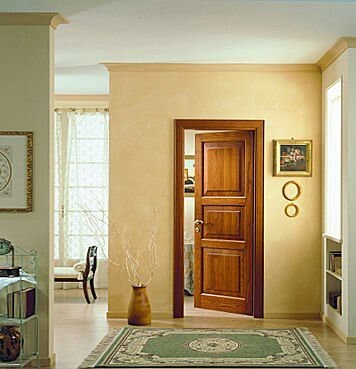 – If damage occurs on your door, wood is easy and cheap to repair. – Although wood is a great insulator wooden doors are not as hardy as UPVC door and you may suffer with draughts; however, this is a problem that can be simply solved with a draught excluder. 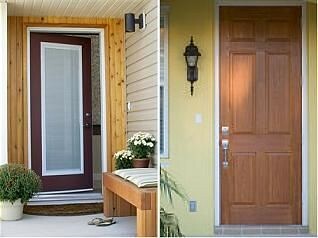 – Wooden doors are also more expensive than UPVC doors and if you need a door that is anything other than standard then the cost may increase further. This article was written by Jamie Wallace, an interior designer who would always choose wooden doors; he wrote the article on behalf of www.woodendoors.co.uk.